If your company is located in Washington, Oregon or California you are well aware that equal pay is a hot topic in the workplace. It is critical to take a look at your pay practices now to reduce your risks from a lawsuit. Our legal guide provides guidance on West Coast and federal equal pay laws in easy-to-understand language. Why do I need this legal guide? You will receive an email shortly with a link to the document. Name Email Company Sign up to Receive our Employment Law and HR Updates. 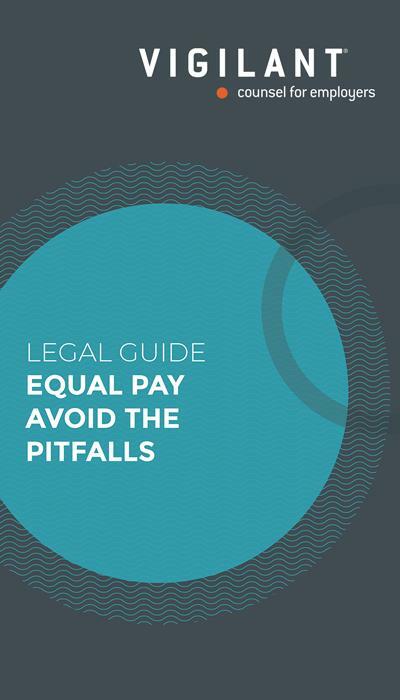 Fill out the form above to receive a free digital copy of our Equal Pay Legal Guide document and also receive Vigilant’s employment law and HR updates. You will receive an email with a link to the document.